Our attorneys, Steven M. Coodin and Paul E. Overson, have over 35 years of legal experience between them. Working together, we can handle the demands of any client's case regardless of the circumstances or complexities involved. Throughout our history, we have helped thousands of clients with their most important legal needs, earning our reputation as one of the top general legal practices in the region. 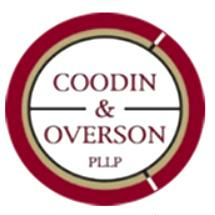 To find out more about how Coodin & Overson, PLLP, can best assist you with any legal matter affecting your freedom, your family, your business or your future, you can contact our law firm to schedule a free initial consultation. I worked with Paul Overson on a business law matter. He did a wonderful job walking me through the process of setting up my business, the paperwork, etc. I highly recommend this firm.